Please note this is just the waterproof cover. 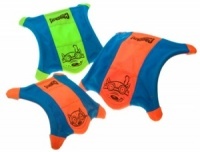 If you would also like the actual Flectabed or a fleece cover, add these to your basket. 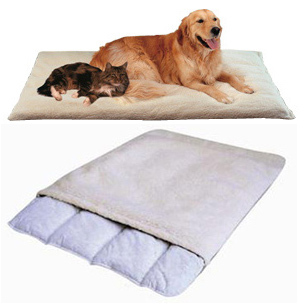 Waterproof cover for Flectabed thermal dog bedding. 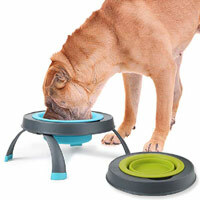 Keeps your dog's Flectabed clean and dry. 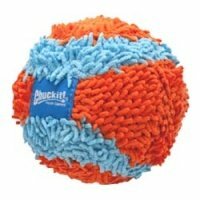 Useful for outdoor kennels or if the animal is wet. Bought the cover as my young dog is a chewer, but she hasn't attacked it, and I am sure it is totally waterproof should there be an accident with water bowl or worse! Certainly recommend as an add on to the flectabed with fleece cover. It fits over the flectabed and fleece well, and still feeds warm. I use this cover over the flectabed used in the basket by the rear door where they sit for a while when they come in from walks, garden etc. It has proved very good and useful. Bed still soft and cosy but normal cover not soggy and muddy. Delivery by the company good. Glad I found it, wish I'd had it years ago.